Cloche's 'Ready to wear' '18 collection is a throwback to the '80s – power suiting and streetwear feature heavy in the line-up. 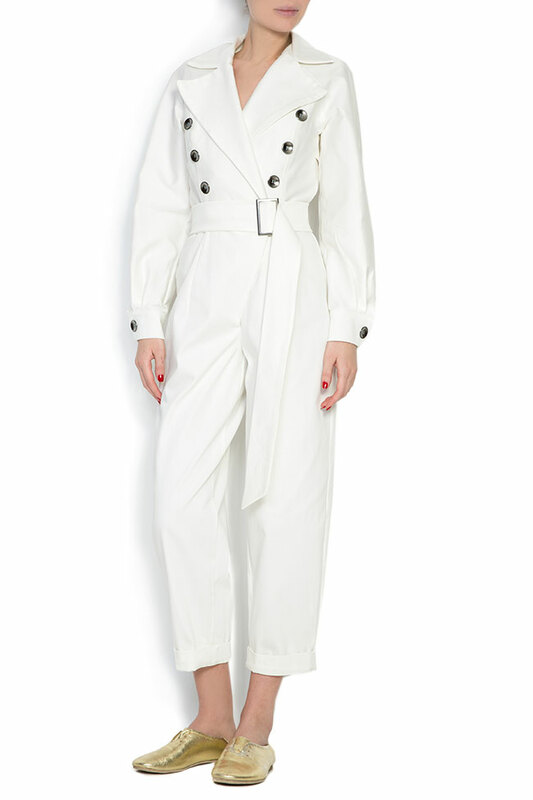 A blend of the two, this jumpsuit is tailored from white cotton with a double-breasted overlay and a wide belt. 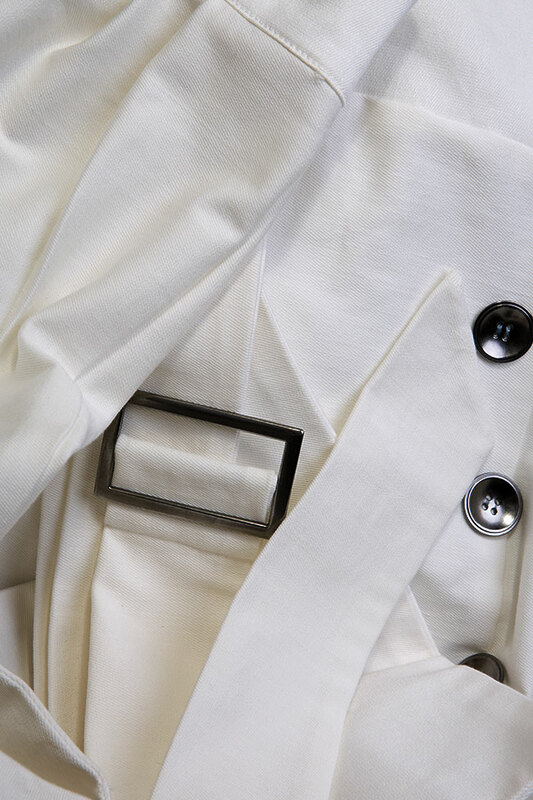 Wear it with metallic leather shoes as seen on the runway, rolling up the sleeves for a more relaxed look.